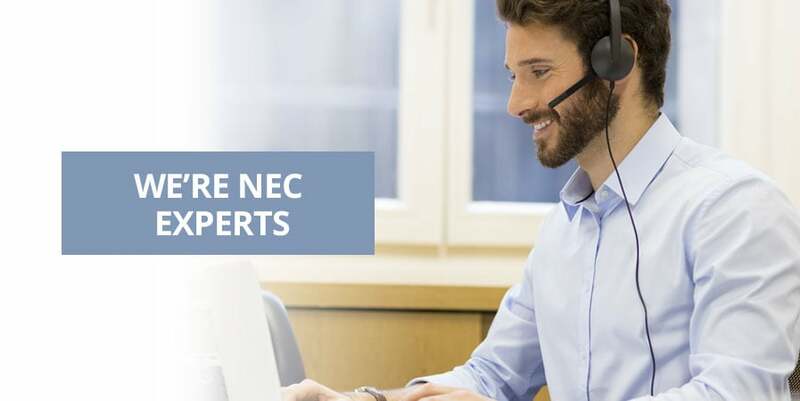 NEC SL2100 PC PRO is the software needed to connect to the SL2100 phone system and make programming changes. 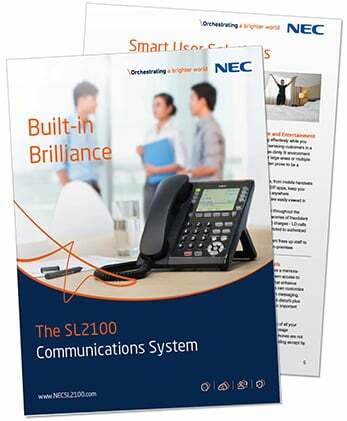 Keep your SL2100 Phone System up-to-date with the latest version of firmware. 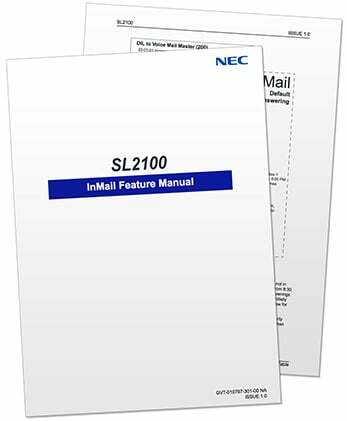 The SL2100 InMail Utility will allow you to back up and/or restore InMail databases, change the installed languages on the SD drive and reinitialize the SD drive back to factory defaults. 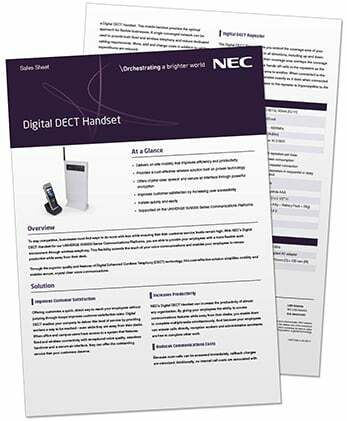 DESI Labeling Software allows you to easily create printable phone labels for your 12-Key Phones, 24-Key Phones and 60-Key Consoles. 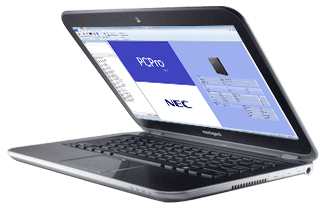 Wireshark is our prefferred network protocol analyzer. 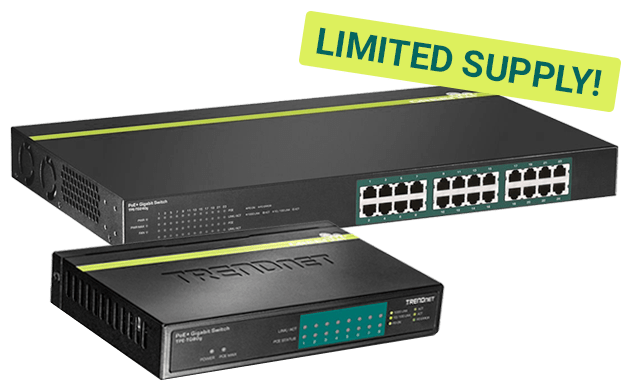 It lets you monitor network activity in real time. 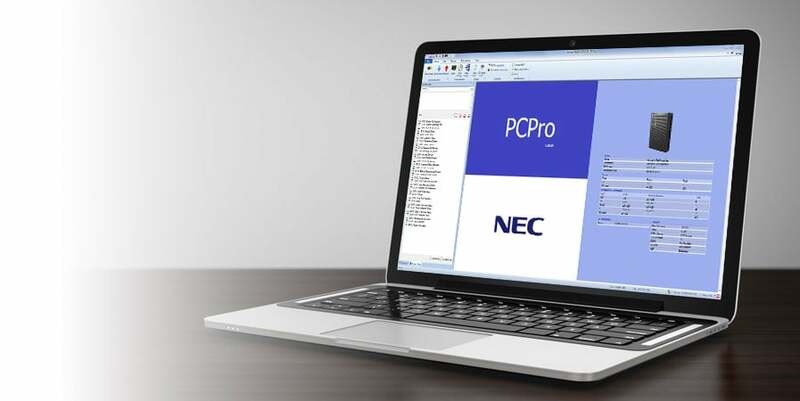 Team Viewer is the software our support technicians use to remotely program your NEC SL2100. 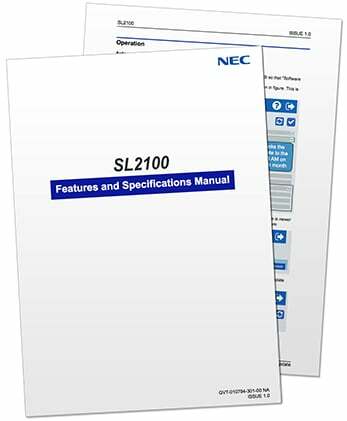 Provides a detailed listing of all the features, service codes, number plans, capacities, and more, that are available with the SL2100 system. 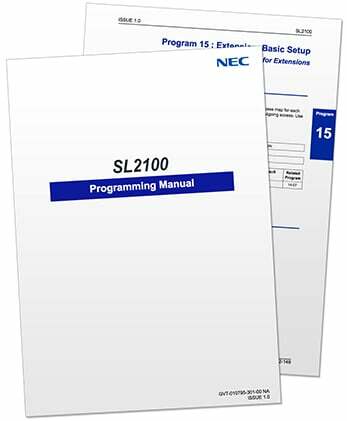 Provides a list of each program in numerical order, and describes what the program controls, as well as any limitations that may apply. 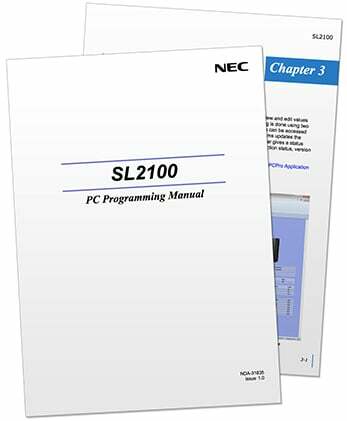 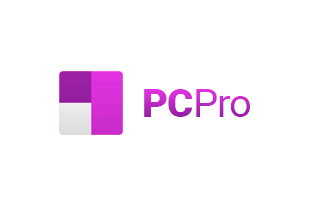 Provides a comprehensive overview of the NEC SL2100 PCPro Software and how to navigate it's menus. 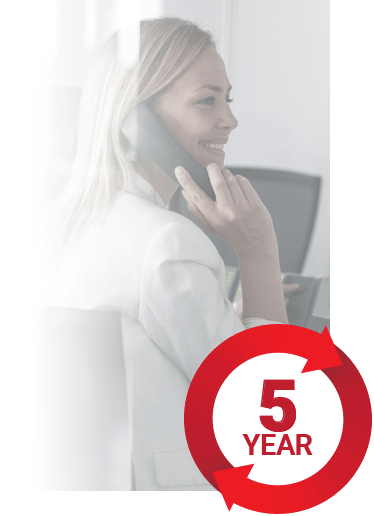 Provides detailed information about the many features of InMail Voicemail. 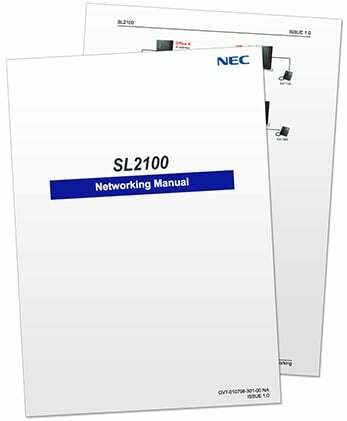 Describes the procedure for connecting the NEC SL2100 to an existing data network, and covers topics such as IP Configuration, SIP Trunks, DHCP, and network design. 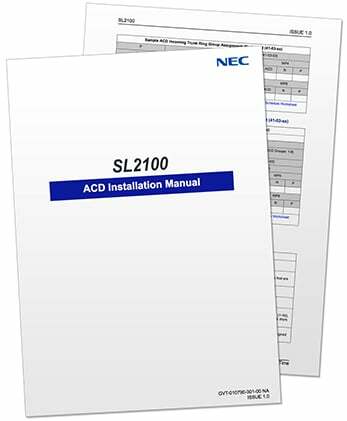 Provides an overview of Automatic Call Distribution (ACD) as well as how to set up ACD for the first time on the NEC SL2100. 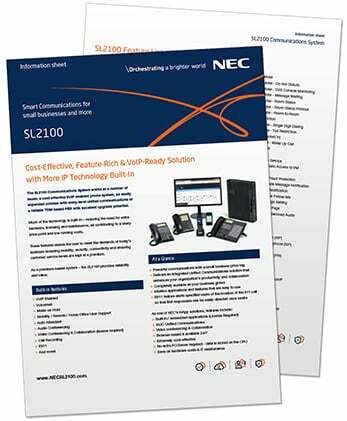 This is a great training guide for end-users who want to get to know their new NEC SL2100 digital phones. 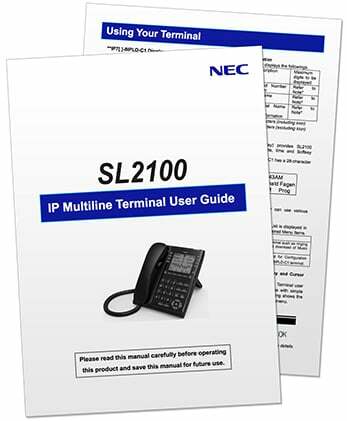 This training guide covers how to use the new SL2100 DESI-Less IP Phone with its 8-keys and 4 scrolling pages. 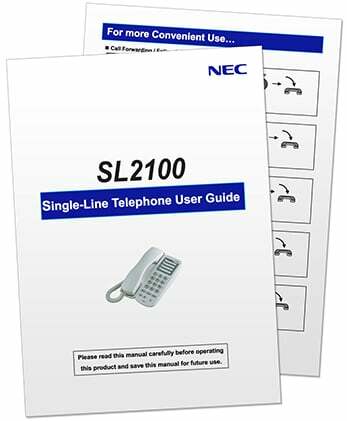 Single Line Phones are a great option for hotels, motels, warehouses, break rooms, and more. 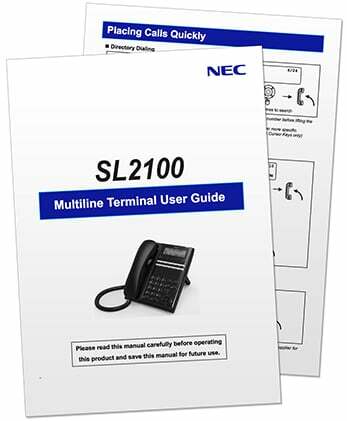 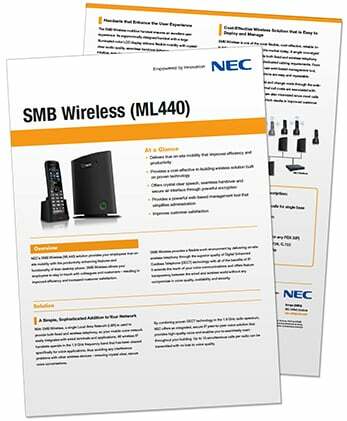 This user guide is a great companion to the NEC SL2100 Single Line phone. 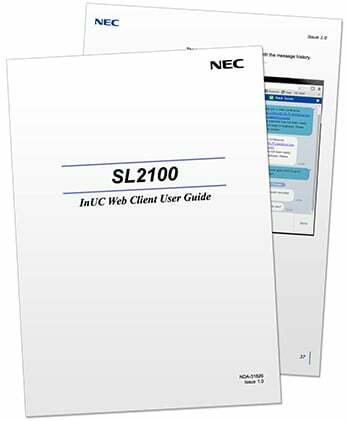 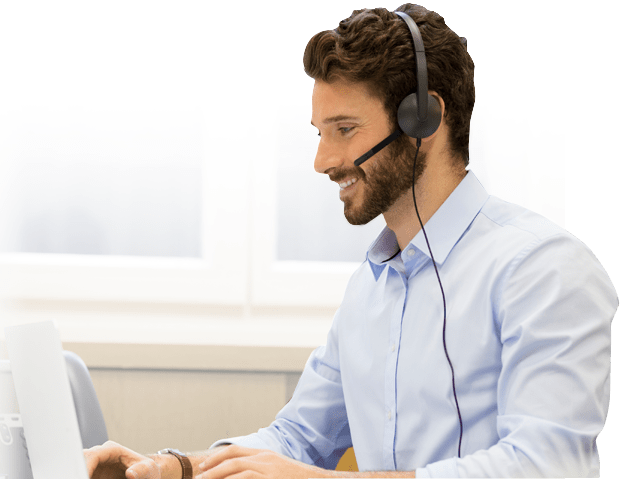 The InUC Web Client is a browser based client hosted on the SL2100 CPU that provides a Buddy List, BLF status, Call Control, Call History, Function Key Status, Email Messaging, Instant Messaging & more. 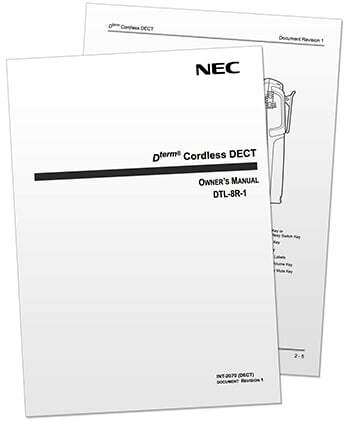 This user guide provides a comprehensive overview of the NEC cordless phone features, limitations and safety instructions. 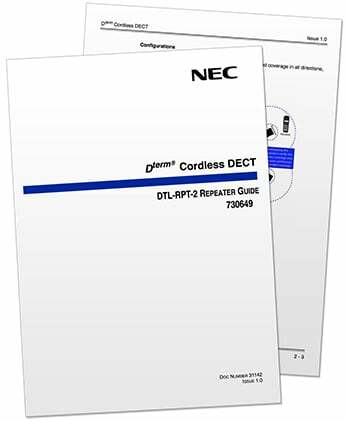 Learn how to extend the coverage of your DECT Cordless phone in all directions, including up and down, in this user guide.